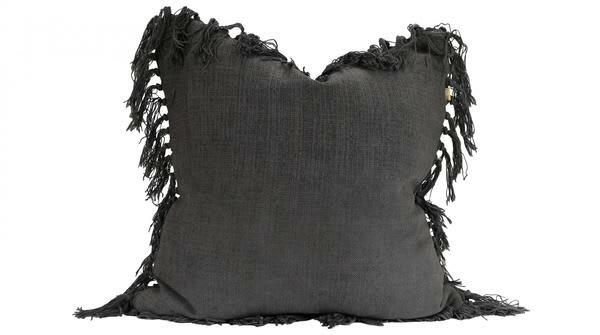 Jute tassel cushion in charcoal. Simple yet beautiful cushion also great for layering and stacking with other Raine & Humble cushions designs. Homewood and Rose in Suffolk, United Kingdom.